Pastor Randy is married to Rachel and has two married children, Robert (m. Brittany) and Rebecca (m. Brandon Williams), living in Lexington, Kentucky. He grew up in Nebraska where his father was a United Methodist pastor for 37 years and his mother taught school. He has two younger brothers, Stan and Keith. He earned his B.A. in Christian Ministries and Church Music from Asbury University in 1983. He was a short-term missionary in Japan with One Mission Society before going on to complete an MDiv at Asbury Theological Seminary in 1988 and later a Dr. of Missiology in 2007 from the same school. During his seminary days, Randy served as a student pastor for three years at Saltwell and Rosehill United Methodist Churches near Carlisle, Kentucky. He was ordained as a Deacon into the Indiana Conference of the United Methodist Church in 1988 and then as an elder in 1990. He served as Associate Pastor for Trinity United Methodist Church in Huntington, Indiana from 1988 through 1991. Randy is currently an elder in the West Ohio Conference and a member of the West Ohio Council of the Wesleyan Covenant Association, a renewal group within the United Methodist Church focusing on biblical authority for holy living in the Wesleyan tradition. The Rev. Dr. Rachel Coleman received her PhD in Theological Studies (NT) from Regent University in May of 2018, graduating with high honors. She currently serves with One Mission Society, as the regional theological education consultant for Latin America. Rachel is a key adjunct in Biblical Studies for Indiana Wesleyan University’s College of Adult and Professional Studies. She is also a course writer and instructor for United Theological Seminary’s Hispanic Christian Academy and Asbury Theological Seminary’s Graduate Certificate in Hispanic Ministries Formation. Rachel serves BUMC through preaching, teaching, music, and food pantry ministry. Randy and Rachel both served as missionaries with One Mission Society in Guayaquil, Ecuador from 1992 through 2005, teaching in EL CAMINO Theological Seminary and helping to pastor and lead two churches, one a new church plant. Another of their main emphases during this time was a ministry to married couples through retreats, small groups, discipling and counseling. From 2006 through 2011 they served at the OMS student center at Asbury University, taking college students on short-term mission trips and helping them to explore their calling. During this time, Randy also was the Associate Pastor (volunteer) at Wilmore United Methodist Church and Rachel taught Spanish at Asbury University. 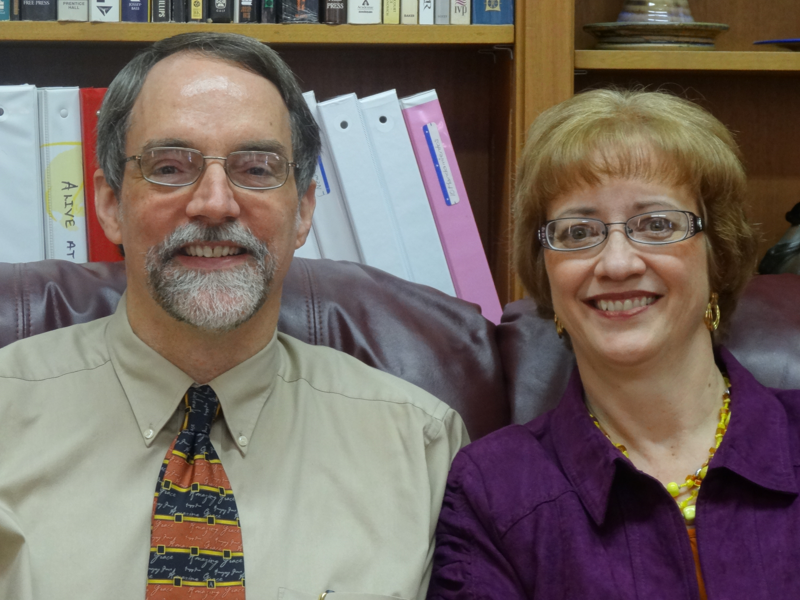 On July 1, 2011, Randy became the head pastor here at Belmont UMC. He and Rachel bring with them much experience in ministry, love and care for people in the church and community, educational backgrounds, team ministry focus, and a passion to help the church reach its mission of making new and growing disciples of Jesus Christ for the transformation of our community and beyond.